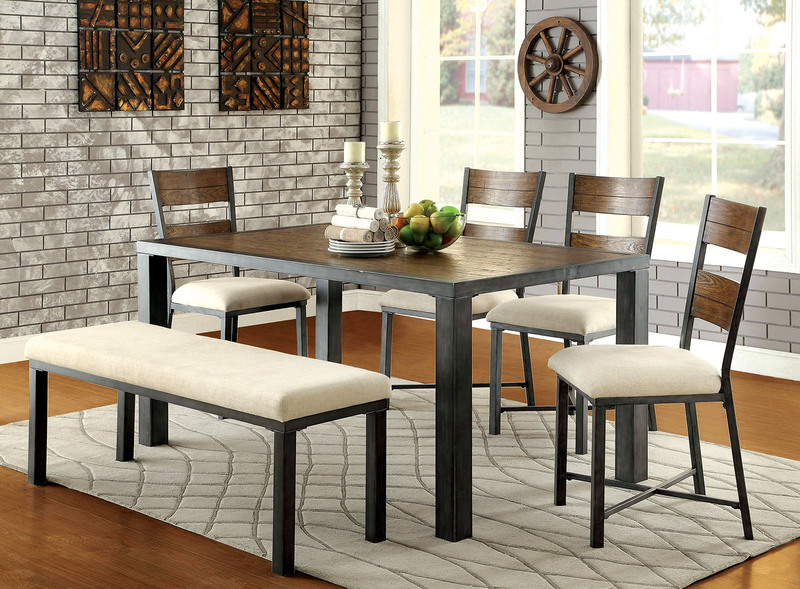 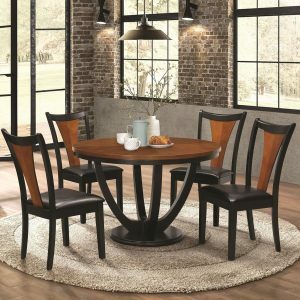 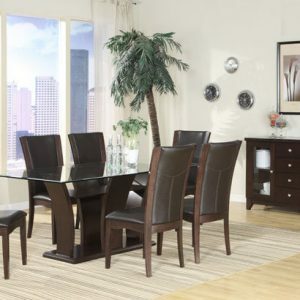 Simple yet detailed, this industrial inspired set adds a rustic charm to any dining setting. 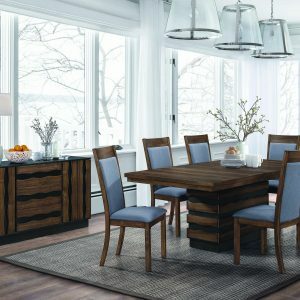 Matching rustic oak finishes along the wide table top and paneled chair backs provide a warm contrast against the metal legs and ivory linen-like seat cushions. 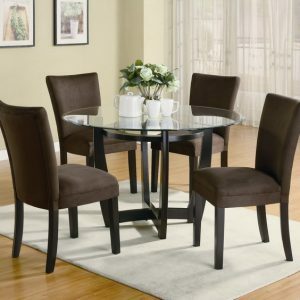 Metal framework for both the table top and chairs ensure a sturdy set for years to come.